Amazon Pay-Per-Click, also known as Amazon PPC and Sponsored Products, is an advertising platform designed to help Amazon sellers increase their sales. This is quite similar to Google PPC – as an advertiser, you pay only when a potential buyer clicks on your advertisement and views your product. This is why we use the term pay-per-click. Why Should You Advertise on Amazon? Well, the reason behind advertising on Amazon is quite simple – it will help you take your products to more people. Think of it like advertising on television or any other media platform for that matter – the more you advertise, the more people become aware that your product exists in the market. Secondly, it is important to remember that there exist millions of products in the Amazon marketplace. 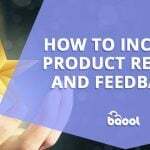 Even though you have done your homework and found a product with excellent margins and low competition, you still have to make an effort to make people know about it. Otherwise, your product will be sitting pages deep in the Amazon’s search results and frankly, no potential customer will ever go that far. Thirdly, by using Amazon PPC for advertising, you increase the relevancy of your products. As more and more people begin to see your ads, the more clicks they will get. Therefore, with more clicks, you are bound to make more sales. And with every sale that you make, your sales history improves. This further improves your organic rankings and pushes your products further up in the search results. As you can see, it is a domino effect that starts with you running a simple ad campaign. How do Amazon PPC Campaigns Work? 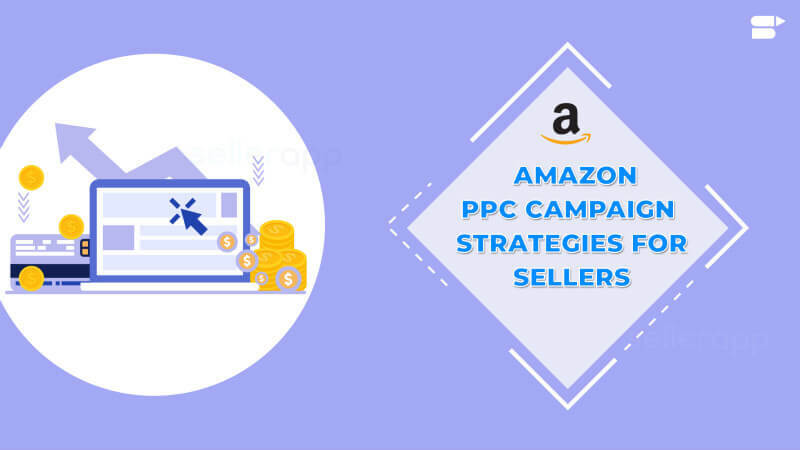 Before we proceed with understanding best Amazon PPC campaign strategies, let us first take a look at how Amazon PPC campaigns work. Sponsored Product Ads: These are the most basic type of ads. They can be seen within the organic search results and are always accompanied by a sponsored badge. Headline Search Ads: These ads are what you consider to be your premium advertisements. As the name suggests, these ads are displayed right on top of the search results. That is, whenever a customer searches on Amazon, this will be the first thing that they will see. These ads are suitable for those sellers with multiple products within their brands. Headline ads are also accompanied by unique ad copies. Product Display Ads: These are the advertisements that are displayed on the product pages. They can appear in different sections of the product pages. These ads fall under the ‘sponsored items related to this product’ category. 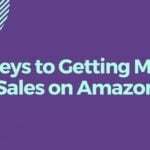 If you are looking to familiarise yourself with these basic concepts of Amazon PPC, and we recommend that you do, then we suggest you check out this Best guide for Amazon PPC. 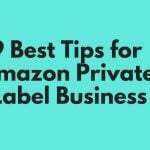 This guide covers all the information pertaining to the Sponsored Products campaign on Amazon and it serves as a good place for anyone who is looking to start an ad campaign on the marketplace. Moving on, now that you are aware of the different type of ads, let us visit another basic question – how much does it cost to run a PPC campaign on Amazon? Well, there is no definite answer to this question. This is because the amount paid for a keyword or combination of keywords depends on the competition. As a general rule of thumb, if a particular product has more competition, then you can expect the bid amount to be higher for those keywords. Your rates can be as low as $0.30 per click or as high as $4.00, and even more! For example, a seller who is selling red t-shirts on Amazon will have different prices for the keyword ‘t-shirt’ than someone who is selling hand sanitizers with ‘sanitizers’ as the main word. As we mentioned earlier, Amazon PPC campaigns have the potential to take your online business to new heights. However, for that to happen, you have to make sure that a lot of things go right according to the plan. It is imperative to realize that running an ad campaign on Amazon is an iterative process – you have to constantly review and refine your campaigns to see what works for you and what doesn’t. Once you have figured out what works, it is crucial that you invest in those actions for superior results. That being said, there are a few things that you can definitely do right at the beginning to make your job a whole lot easier. These should form a part of your Amazon PPC campaign strategies. Ideally, you want to have a product that is in high demand and has low competition. 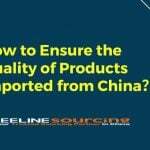 To find such a product, you will have to sit and do hours and hours of painstaking research using various tools available at your disposal. 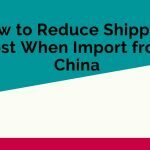 Not only this, but you will also have to verify your data by checking if the product is in demand throughout the year. 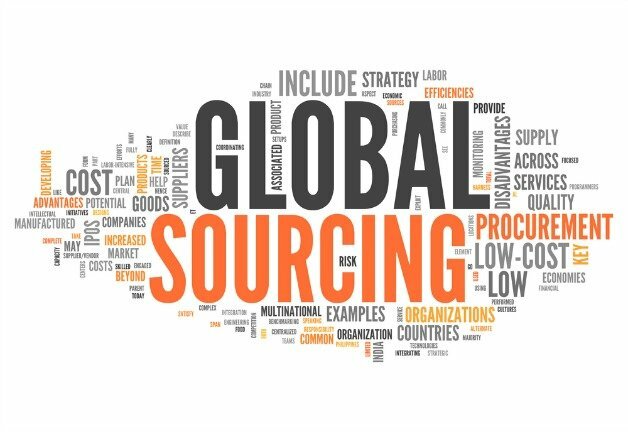 By sourcing a low-competition, high-demand item for the Amazon marketplace, you are effectively protecting yourself from placing a high bid for keywords. Advertising Cost of Sales, also known as ACoS, is nothing but the amount you spend on advertising for every sale that you make. It is calculated as a percentage of your sales. For instance, if you have a product that sells for $40 and you are investing $10 on advertising the same, then your ACoS, in this case, will be 25%. You have a product priced at $15 on Amazon. You bought it at $3 and after the Amazon costs and other expenses of $6, you are left with a margin of only $6. Now, it turns out that your keywords bid amount is $0.50 per click and your conversion rate is 12%, that is, it takes 12 clicks for your product ad to make one sale. As you can see now, your entire profit margin is eaten up by the ad campaigns! On the other hand, if you price the same product at $25, then you are left with a healthy margin of $16. Therefore, the idea here is to give yourself a healthy profit margin. One of the best Amazon PPC campaign strategies is to do a thorough keyword research. This is going to give you an idea of the kind of keywords that the people are searching for on Amazon, along with its corresponding search volume. Based on this data, you can efficiently identify which keywords to target for your Amazon PPC ad campaigns. Generally speaking, it makes sense to bid on a keyword that has a high search volume – however, it will also have a high competition and therefore, higher bids and possibly low conversions. On the other hand, if you invest in long-tail keywords, that is, queries with more specific requests, then you may find yourself enjoying a higher rate of conversion with low competition. The competition for these long-tail specific keywords is low and consequently, they cost less. For example, instead of bidding on ‘t-shirt’ – something that may get you a lot of impressions and clicks but low conversions, it may be feasible to bid on more specific queries like ‘t-shirt for summer’ or ‘casual t-shirt for evening wear’. Additionally, Amazon keyword research will also help you write detailed bullet points for your product description. This will help Amazon algorithms understand your product listing better and rank it accordingly in the search results. However, you should be sure to not overdo it by stuffing the description unnaturally with keywords. The main objective behind running an Amazon PPC campaign is to acquire customers efficiently and grow sales volume quickly. While it will be great to have both of those happen at the same time, it is far more convenient and easier to focus on one of these at a time. If your primary objective is to increase your sales rapidly, then you may want to increase your bid amount by a huge margin. It is more of an overkill – you may get good impressions but there is absolutely no guarantee that you will get an equal return in sales. The only thing that it is guaranteed to do is increase your ACoS by a significant number. Conversely, if you choose to exercise patience and increase your bid amount gradually over time, then you may see a far better result. You may start with zero sales but as you increase your bid, you will notice a couple of conversions here and there. Based on this data, you can accurately figure out where exactly you want to bid to get a sale for that keyword. This approach is far more systematic and is bound to generate positive results. Similarly, your another goal here should be to acquire more customers for a lesser price. 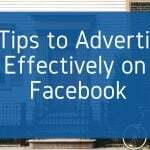 That is, you should be able to get a conversion by spending less amount on your advertising. This, in turn, translates into better profit margins. For example, if you are able to generate $50 in sales by spending just $5 instead of $10, you bring your ACoS down from 20% to 10%. This Amazon PPC campaign strategy is more oriented towards keyword research. The idea here is to focus on finding high-performing keywords and spending on campaigns centered around them. 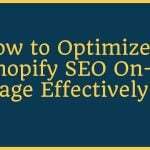 Doing this will also boost sales history and that, in turn, will improve the organic rankings within the search results. You will also have to monitor the performance of your campaigns over time to correctly identify the top keywords and make necessary amends to your bid amount to stay profitable. This is because the competition is ever-changing and to assume that the bid amount for one keyword will remain the same throughout, will be a huge mistake. Let’s say that your product becomes suddenly popular in the market and as a result, the competition increases. Therefore, you will have to update your bid accordingly to keep up with the trend. The same goes for seasonality and other important aspects as well. Like we mentioned earlier, it is a repetitive process – you will have to regularly monitor your performance reports and identify the key parameters that need to be optimized. 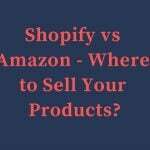 Ask any person who has made a killing by doing business on Amazon – they will tell you that the best place to start advertising on Amazon is by creating an automatic ad campaign and taking it from there. As a seller who is just starting out, you should be looking at doing the same. By running an automatic Amazon PPC campaign, you let Amazon scour through your listings and description to find relevant keywords to target. This is why we earlier emphasized writing high-quality, elaborate product descriptions. You need to run this campaign for at least one week to gather enough data. Once you get the report, you need to filter it based on highest converting keywords. This will give you an idea of which keywords are performing well for you. Now, you need to take those keywords and put them in a manual campaign for better results. At the same time, do not turn off the automatic campaign. Instead, you can reduce the daily budget for the same and keep it running in the background to discover additional keywords. Once you find performing keywords, add them to your manual campaign and the process repeats again. This process can be combined with the keyword research step we mentioned earlier to obtain an exhaustive range of options. To keep things simple, you can follow the odd-even rule. This rule simply states that during the odd weeks of the month, you need to look at automatic campaigns to find additional keywords and optimize the same. 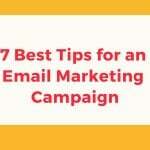 On the other hand, during the even weeks of the month, your primary objective should be to optimize manual campaigns. Last, but not least, you should also be on the lookout for negative keywords. These are essentially the keywords that are not bringing in any conversion but you are still spending your money on them. Instead of wasting your money on these non-performing words, it is better to mark them as negative so that Amazon knows not to devote any of your resources to them. It is absolutely fair to say that there is a lot going on over here and at times, it can be quite overwhelming too. However, once you start doing it yourself and get in the flow of it, you will soon find yourself navigating through the intricacies of Amazon PPC campaigns like a pro. Nonetheless, to make your job easier, you can also consider this Amazon PPC tool for optimization . It is essentially a one-stop solution for all of your Amazon advertising needs – you can track the performance reports, optimize the campaigns, and monitor all of the important metrics – right from a single tab. If there is one thing that we would like you to remember, it is that the success of an Amazon PPC campaign depends on how well you run it and monitor it. You need to be able to interpret the data in front of you to make sound decisions, rather than blindly spending money and adding to your ACoS. You may miss out on a lot of sales if you fail to correctly interpret your reports. You also have to remember to be patient – it may take up to 60 days for your PPC campaigns to deliver the results you are looking for.